Is the Pope into metacognition? At that time, when I was doing my PhD in Cognitive Science, I studied the work of the Canadian thinker, Bernard Lonergan. In 1979, in the New York Public Library, I read his big book Insight: a study of human understanding (1957). It’s actually a major work on metacognition and (although he doesn’t use the word which came later) his work precedes Edward de Bono, Daniel Dennett and that of many others in the field of cognitive science. Lonergan has been recognised as one of the greatest thinkers about thinking since Thomas Aquinas. Aquinas connected the dots between Greek thinking and Roman thinking: thinking inside the square. Lonergan connected the dots between Greco-Roman thinking and Darwinian thinking: thinking outside the square. My next personal choice in this ‘thinkers about thinking’ series was a trio: McLuhan, George Gallup and Berners-Lee who connected the dots between individual thinking and crowd thinking: thinking in the cloud. experience > understanding > judgement > decision. Lonergan taught that these four (thinking hats?) are all self-conscious mindsets that the thinker uses in a deliberate (metacognitive) way and in an ascending spiral, round and round, again and again, over the many years, to gain virtuosity in one’s thinking skill. the Lonergan metacognition spiral is similar to using SDNT as an ongoing process and all the original six thinking caps over a decade of 10,000 hours of PRR (practise, repetition, rehearsal) to acquire the virtuosity and wisdom of the seventh Grey Hat. Although I have not done justice to his theology at all I don’t think that such an explicit explanation of his metacognition theory dumbs his great work down. Lonergan also influenced his fellow-Canadian Marshall McLuhan who after reading Lonergan’s book on human understanding wrote his own celebrated work Understanding Media: The Extension of Man (1964). Now here’s the interesting bit. The reason I recall his book and draw attention to his work today is because Bernard Lonergan was an eminent thinker and also a Jesuit priest. His work has influenced much of American philosophy and theology and it is very likely to have influenced the new Jesuit pope, Francis, who at the very least will be aware of his work and possibly even familiar with it. This opens up an exciting prospect for thinkers about thinking. Could Pope Bergoglio be an intellectual supporter for the worldwide development of metacognition? Avil Beckford is an experienced online interviewer, writer and researcher. Here, in two parts, is her thoughtful interview with Michael: Part One and also Part Two. Who in their right mind would plant a pet tree? In 1981, at the United Nations in Manhattan, I was a co-founder with Rene Dubos and Richard St. Barbe Baker of the Children of the Green Earth Society. The purpose of this initiative was to try to broaden the public awareness of the fundamental threat of deforestation to the green planet. 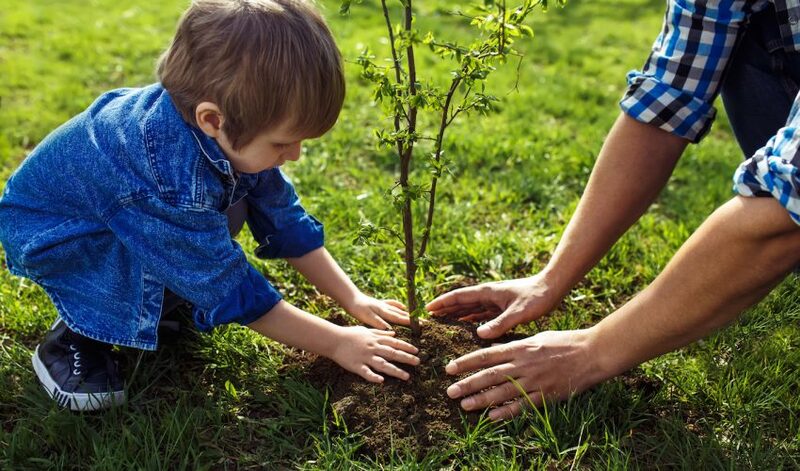 Our trees are our friends because they give us oxygen, so the idea we came up with was this: what if every human child could plant a friend or pet tree? I still have my gift of the wooden tile we were presented with at the UN meeting as a memento of the occasion. Front with the proposed logo and back with the proposed name: Children of the Green Earth. 1. What is the name of your tree friend? What do you call your pet tree? 2. Where is your tree? What district or town is it in? 3. When did you last hug your tree? Or, visit your tree? Or, tend to your tree friend? Every 21 March is the International Day of Forests. “You can gauge a country’s wealth, its real wealth, by its tree cover“, was a favourite saying of Dr Richard St. Barbe-Baker OBE. I met St.Barbe when he was in his 90s in Washington at a retreat. He made me organic wholemeal pancakes for breakfast and we soon became friends. He showed me how to hug a tree and pay attention to its hydraulic vibes. I wasn’t sure whether it was my kind of thing, at first, but then I grew to like it. St. Barbe’s organization, the Men of the Trees, eventually grew to be known as the International Tree Foundation. Ultimately, there were chapters in over 100 countries. By some estimates, organizations he founded or assisted have been responsible for planting at least 26 trillion trees, internationally. “… The cognos is the larger universe within which, at some point, exists the cosmos. Before something “pops” into existence in the cosmos, it exists in the cognos. We could say that the cognos is the “before” and the “cosmos” is the after. “… Just as the cosmos is made out of atoms, electrons, quarks, etc., the cognos itself is made out of cogns (pronounced “cones”). A cogn is simply the smallest unit, or particle, that makes up the cognos. Cogns “pop” into existence in the cognos when we simply focus on them. When we think about an area of the cognos, it comes into existence as a result of our thinking about it. This is just like when we look at something in the cosmos, it comes into existence, to our attention, as a result of our looking at it. Look over your shoulder now and, by looking, whatever is there to be seen will pop into your attention. “Example: If I think about “socks made of glass” that idea has popped into existence in the cognos simply because I thought about it. The cogns that make up that part of the cognos which can be described as “glass socks” now exist simply because I thought about them. An object pops into existence in the cosmos as a result of it already existing in the cognos. Thus, if I want to think more about the idea of “glass socks”, I can examine it even more, focus on it to a greater depth, and eventually make a pair of “glass socks”. When I have done that, the glass socks not only exist in the cognos but also have popped into existence in the cosmos. Just as before America popped into existence in the cosmos, it first existed in the cognos through Columbus’ mind. DFQ: In cognitive physics the theory of the Cognos is not a theory of everything but a theory of anything. So, what is an important question that you would like to see explored in cognitive physics and by cognitive physicists? What is it about your question that makes it important?